I’m ready! I’m ready! 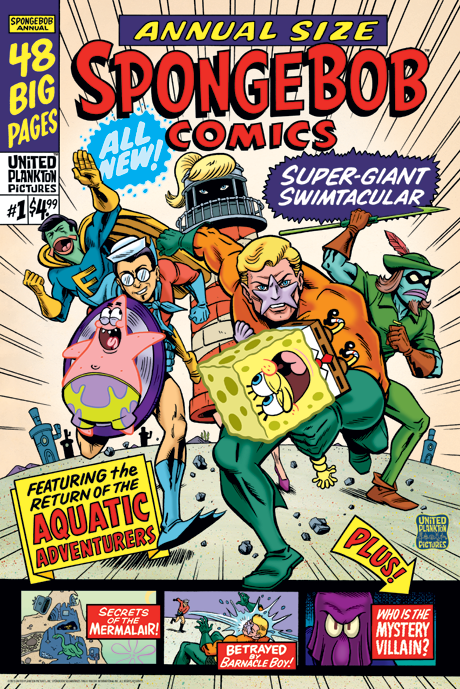 I’m ready for a Comic-Con exclusive SpongeBob SquarePants Poster! This awesome 16" x 24" poster features Mermaid Man, Barnacle Boy, and the rest of the Aquatic Adventurers! This is only available at the Bongo Comics booth (#2519), so hop a ride on a seahorse and snag a copy!